The men's Saucony Vendetta 2 is a racing shoe built for speed and for comfort. 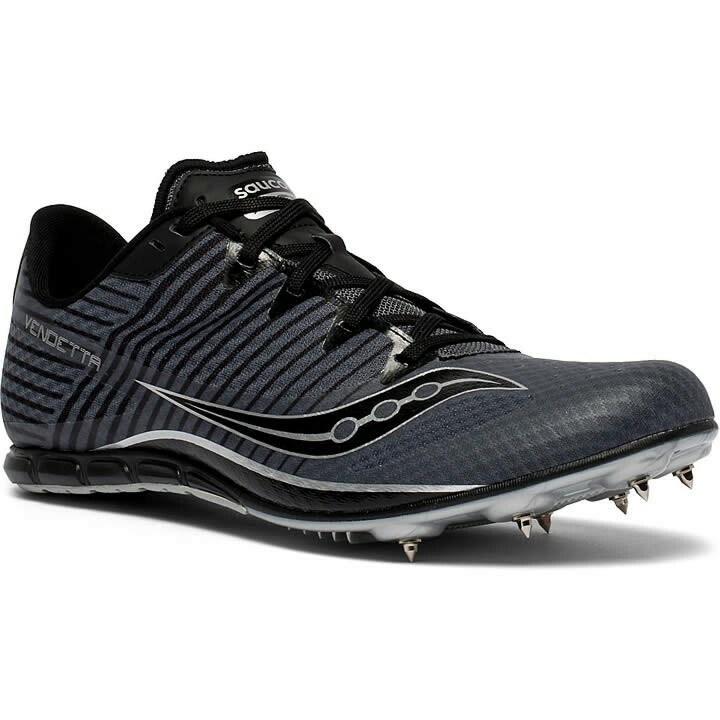 This spike is great for middle distance rookies trying to discover their best event and for veterans working to take their racing to the next level. Find new finish lines in the new Vendetta 2.